Our product range includes a wide range of liquid photoimageable solder mask, uv curable solder mask, uv curable marking ink, thermal curable marking ink, thermal curable solder mask and pcb ink. 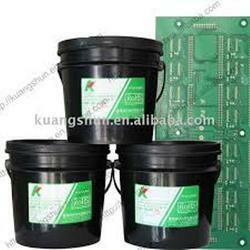 We are reckoned as prominent firm of supreme quality Liquid Photoimageable Solder Mask. Our offered solder mask adheres to the set industry standards and demanded widely in the automotive, telecommunication infrastructure and mobile communication applications. We have used premium grade materials to process the quality product which offers remarkable reliability in thermal and environmental tests. Further, the offered solder mask is compatible with all kinds of surface finishes and can be ordered from us at a competitive price. We have a complete devout in developing highly demanded UV Curable Solder Mask. We have gained specialization in providing the high performing products for PCB repairing and our offered solder mask is one of the best selling items in the segment that is utilized for protecting PCB after soldering and rework. We have invested in modernized techniques to present the unmatched quality solvent which can be ordered from us with assurance of reliable moisture protection, industry compliant standards and market leading price. 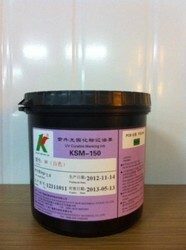 We are highly experienced firm best known for the quality of our offered UV Curable Marking Ink. The UV curing ink is suitable for soldered side of boards and it is widely demanded for its remarkable performance against common flux removal systems. The offered ink is made from premium grade compounds and tested under certain quality parameters to assure no discoloration even after multiple cycles of soldering. 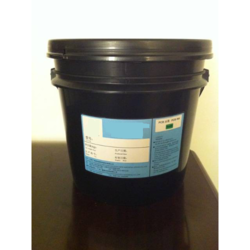 Further, the offered ink is accessible in varied colors and can be ordered from us at a competitive price. 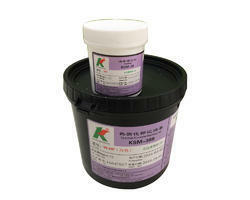 We are a trustworthy organisation in offering a wide gamut of Liquid Photoimageable Solder Mask. 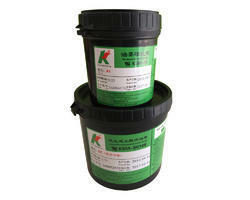 We have attained wide reputation in the market by offering highly demanded Thermal Curable Marking Ink. 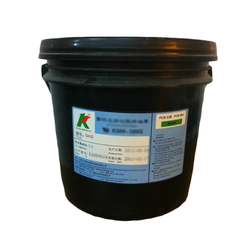 The offered ink is gaining widely popularity in the market for its good adhesion and remarkable hardness. 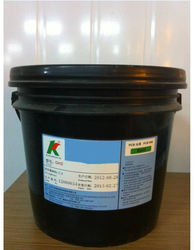 Made from premium grade chemicals and other compounds the offered ink is best suited for PCB repairing works. Further, we have developed a modernized work setup and providing a wide range of colors in this ink that is accessible from us at a nominal price with the assurance of timely delivery. We are a trustworthy organisation in offering a wide gamut of Thermal Curable Solder Mask. Owing to our rich industry experience, we are engaged in offering premium quality Solder Mask Ink at affordable market price. This ink is formulated under strict supervision using best quality ingredients that has been obtained from authentic vendors.